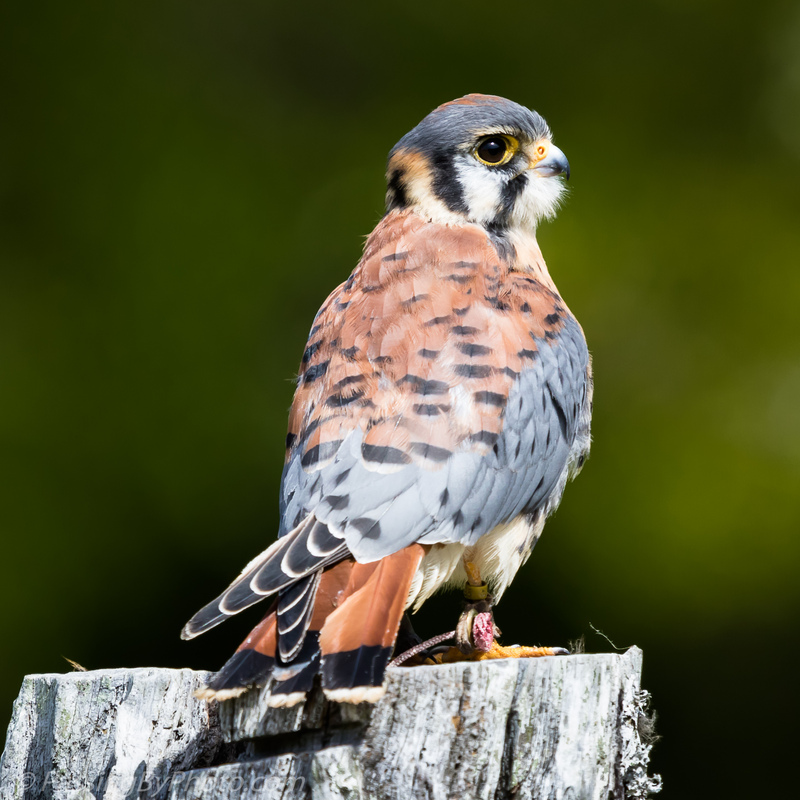 The American Kestrel is the smallest North American falcon, and also the most colorful. The pairs of black vertical slashes on the sides of their faces give them a distinctive look along with what appeared to me as “eyes in the back of their head” as he swiveled around. Here he is settling himself after “rousing”, a shaking action that lifts all the feathers. 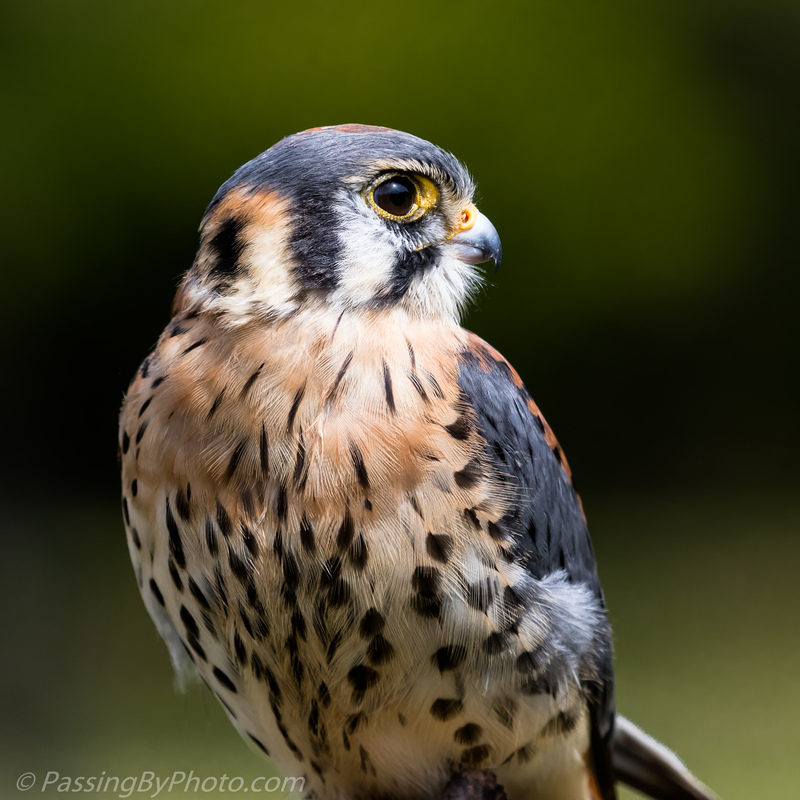 The Center for Birds of Prey offers photographers an opportunity to take close-up photographs of owls and other birds of prey a few times a year. 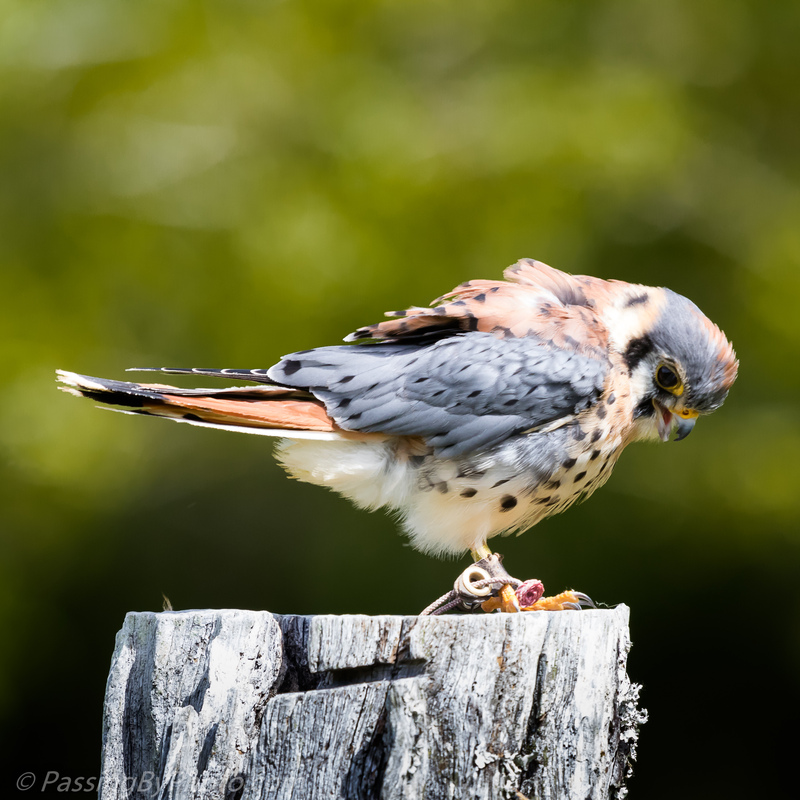 The Center for Birds of Prey, Photography Day, April 22, 2018, Awanda, SC. Such beautiful markings. Terrific shots Ellen! It’s like someone flipped a switch here, and they’re all over in the country, perching on phone lines, searching for lunch among the corn stubble. What a wonderful bird to have around you, Paz. They are amazing to watch hunt and good to keep the rodent population down.